Three standout Ole Miss players will join head coach Matt Luke and represent the Rebels at SEC Media Days in Atlanta on Tuesday, July 17. 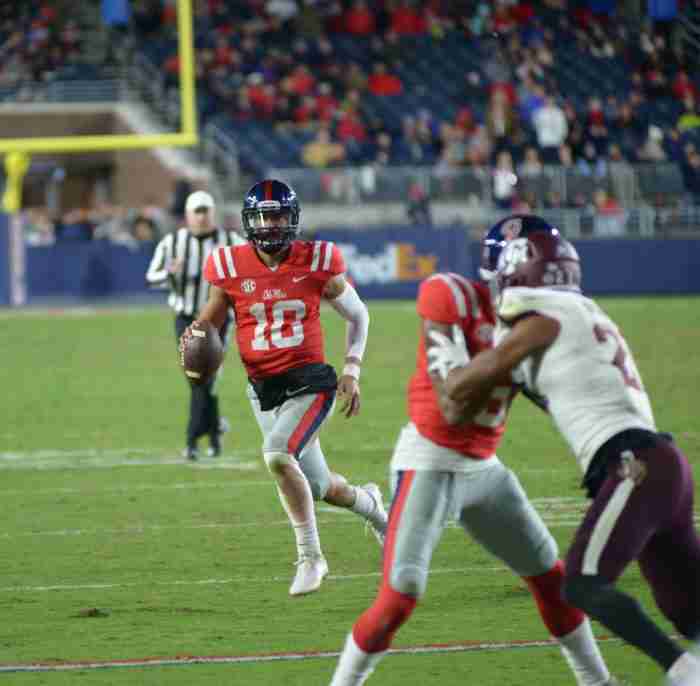 Senior center Sean Rawlings, senior quarterback Jordan Ta’amu and junior defensive tackle Josiah Coatney will be on hand to meet with the media at the Omni Atlanta and the College Football Hall of Fame to discuss the Rebels’ upcoming season. Rawlings was recently named to the 2018 Rimington Trophy watch-list. The award honors the nation’s top center. 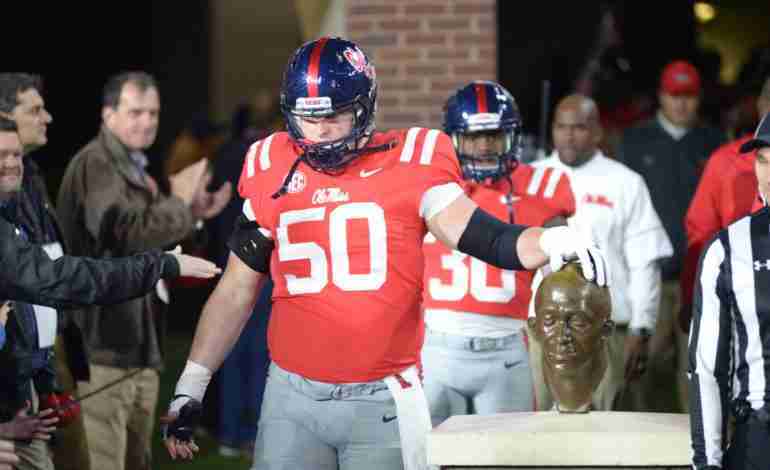 Last season, Rawlings anchored the Ole Miss offensive line and started 11 of the Rebels’ 12 games at center–missing one start as a result of an injury. The Madison-Ridgeland (Miss.) Academy graduate has proven to be versatile, as he started seven games at right tackle and one at center during his sophomore season at Ole Miss. In 2015, as a redshirt freshman, Rawlings started seven games at right tackle. Coatney played in all 12 games last season, notching 65 tackles. He recorded eight tackles for loss and 3.5 sacks from his defensive tackle position. The junior college transfer (Holmes Community College, Mississippi) is a fourth-year junior after redshirting in 2016 after suffering a knee injury. He was recently recognized by College Football News as one of the best in the nation at his position. 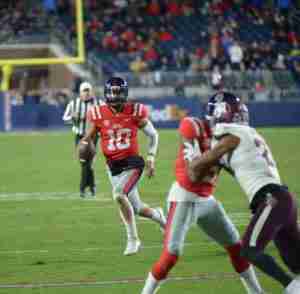 Ta’amu, a Pearl City, Hawaii native,took over the quarterback duties for the Rebels last season when former quarterback Shea Patterson went down with an injury in the LSU game. Ta’amu was superb, playing in eight games and passing for a total of 1,682 yards and 11 touchdowns with only four interceptions. 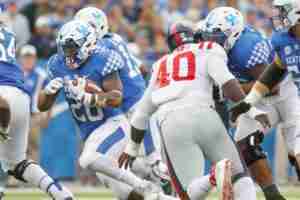 The 6-foot-2, 212-pound senior, who completed almost 67 percent of his passes, also added 165 yards and four scores on the ground. Coach Luke will take the podium at approximately 10:20 a.m. Tuesday and coverage will be provided by the SEC Network. Following is the complete list of players representing Southeastern Conference schools.